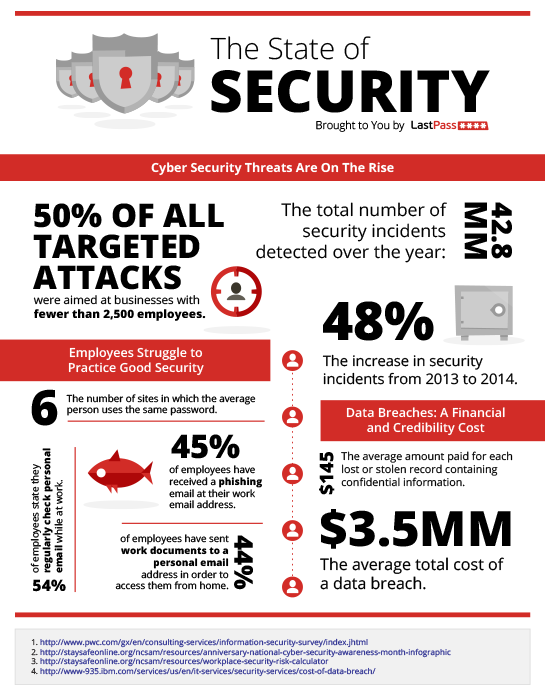 The LastPass Blog: How Secure Is Your Workplace? How Secure Is Your Workplace? Employees are the weakest link due to both bad passwords and the risks of phishing. LastPass Enterprise addresses both issues and helps strengthen the first line of defense in protecting corporate data and consumer records. Start a free trial of LastPass Enterprise today, so your employees can use a generated password for every online account, without sacrificing productivity.